Everyone knows all matter consists of atoms. The idea is so familiar that few of us can remember when we first learned it. It was just always there along with the multiplication tables and the difference between adjectives and adverbs. So it can be hard to understand how any real scientific doubts could surround the notion of atoms as recently as 1900. It is a very helpful exercise to a feel for the size of an atom. Here's the exercise. Imagine that I offer to give you one atom of gold for every second that has elapsed in some time period, say, 100 years. How much gold am I offering you? Perhaps 100 years is not very long. I'll be more generous. What about one atom of gold for every second since the time of Democritus in ancience Greece? Or since the beginning of recorded history? Or since the age of the dinosaurs? OK. Let's do this properly. The offer is one atom of gold for every second that has elapsed since the Big Bang, the beginning of time. How much gold am I offering you? Take a little time to fix an answer in your thoughts. It won't be fun if you don't! Done it? Now scroll down. What are you thinking? A teaspoon of gold? A bucketful of gold? A truckful? One atom for every second since the beginning of time. Don't underestimate it! Second by second, we pass through the radiation dominated moments after the big bang, the era in which primordial matter started to collapse into stars, the time that planets like our earth formed around them; we pass the earliest stirrings of life on earth, the earliest moments of intelligent thought here; and on and on. And with each second of these epochs an atom gets added to the offer. Here is a gold coin weighing one ounce. How many of these are on offer? Not even one of these gold coins is on offer. At right is a fragment that is 1.5% of the original coin. It is about the smallest fragment that is easy to show. The astonishing result is that even this fragment is too big. It is 3,000 times too big! My offer turns out to be very far from generous. As many atoms of gold as seconds since the big bang amounts to a speck of gold weighing 0.14 milligrams and worth 0.21 cents. So what is the moral? It is that atoms are very small indeed (and perhaps also that universe is not so old). Atoms are so small that we should think differently about them. That everything is made of atoms is not as simple an assertion as saying that the smooth mounds of sand that form the dunes at the beach are really made of fine granules of broken rock. In the case of the sand, we can convince ourselves that this is right merely by walking over to the sand, spreading a pinch of it over the palm of our hand and peering down.There is no comparable way to check that everything is made of atoms. No simple optical microscope can magnify enough to make individual atoms visible and none ever will. The wavelength of light is too long to resolve them. It would be like trying to feel the shape of one grain of sand while wearing a boxing glove! For a long time, the idea that everything is made of atoms seemed like a plausible idea, but not one that had direct relevance to practical science. That certainly seemed to be the attitude of the physical chemists of 1900. They had developed very beautiful and very powerful thermodynamically based methods of understanding the physical properties of matter. With some effort and immensely complicated computations, Maxwell and Boltzmann could show that some of these properties could be recovered from the assumption that matter was made of atoms, even though the atoms were so unimaginably small that no direct observation of them was possible. But why should a physical chemist adopt methods that could do only a portion of physical chemistry when the existing theory did it all and with great beauty? Of course things were about to change with the work of Einstein, Perrin and others. For they showed that there are phenomena that can only be explained by the atomic hypothesis. See "Atoms Entropy Quanta: Einstein's Statistical Physics of 1905" in this Goodies page. That changed everything. So now the experts want to see the sums. Here they are. 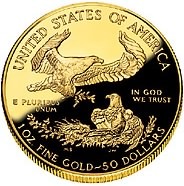 Let us set the value of gold at $450 per troy ounce. One troy ounce is 31.1g. So that comes to $450/31.1= $14.47 per gram. The age of the universe is 1.4x1010 years = 4.418x1017 seconds. Since the atomic weight of gold is 197 and Avogadro's number is 6.02x1023, 4.418x1017 atoms of gold = (4.418x1017/6.02x1023)x197grams = .00014458 grams. This weight of gold is worth $14.47 x .00014458 grams = 0.21 cents. The fragment shown is 0.015x31.1 grams = 0.4665 grams, which is 3,180 times bigger. Copyright John D. Norton, June 17, 2006. First prepared on a transaltantic flight from Berlin to Pittsburgh, June 17, 2006. Revised January 23, 2007. Thanks to David Kreller for alerting me to arithmetic errors in a earlier version.